If you feel crippled by your lack of confidence, then a session with me will give you that added boost to begin your new desirable confident life style. After the session you will feel so relaxed and determined not to let your negative past rule your life again. After proving to you how successful hypnosis is for you and teaching you self hypnosis, I will give you a free booster confidence hypnotherapy CD so that every day you have an added boost when needed to help you remain that more confident person. Your new confidence will become a permanent part of your life. Below I have written some of the reasons why you may have low confidence and how you can change through hypnosis. You will be able to relate to some if not all of the points below; if so then you are a perfect client for a session with me for a confidence boost. 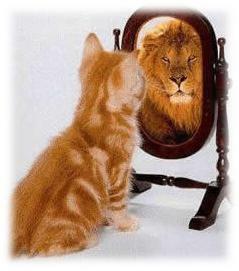 Confidence is learned, not inherited. So if you lack confidence, it probably means that you were criticised or undermined as a child. Don’t panic as this lack of confidence is not permanent; you can still change. You can rethink the past. You can reinvent yourself and hypnosis will give you the boost that you need. What you think, will happen. If you think you’re a failure, you’ll fail. Confident people think themselves successful and they find success, even though there confidence most of the time was an act. They literally run a kind of internal ‘home movie’ where they are doing well. So, before something nerve-wracking happens, run through a positive internal ‘home movie’ of yourself in the situation that you are in. If you’re going for a job interview, imagine just how well you’ll do and tell yourself you’re going to succeed. Even if you don’t get the job, you’ll naturally do better than if you had imagined the worst. I will explain this further in a personal session with me. Though stage-fright ‘butterflies’ are useful, by reminding us to give our best performance, they can make us so physically nervous that we fail. The answer is simple. By faking it, you can often end up feeling confident quite naturally. This is what people do that look confident. So just before that important piece of work or that big date, relax, then stand tall, hold your head up, relax your shoulders and stand with your weight evenly balanced over each foot. Smile to raise your spirits. If your mouth is dry, bite your tongue to release saliva. Take a deep breath and go for it! If you act as though you lack confidence, other people will react to that and often badly. Use the ‘SET’ plan, smile, eye contact and touch. Which picks up on the three elements confident people typically demonstrate. 1. Smile and you’ll seem relaxed. 2. Hold eye contact and you’ll seem sure of yourself. 3. Touch with a firm handshake or even just a pat on the arm and you’ll seem in control. This statement sounds negative. Isn’t it bad to feel unsure? But actually, this is a positive strategy in some new circumstances, because it’s no good feeling falsely sure in all new things as you could be too confident and not see a potential danger. With something new, feeling unconfident is your mind’s way of alerting you to your lack of experience or a potential danger. So this isn’t a negative thought pattern, but you may have wrongly seen it as negative so your reaction to the new situation was wrong. You need to re-educate your mind to a new way of thinking and hypnosis will help you with this by gaining the relevant experience. So with anything new, that speech, those interview questions, that new skill, all you need to do is practice ahead of time, even if it is only in your mind. Rehearsal will raise your performance and, in turn, raise your confidence. You can with hypnosis rehearse different situations as if they were real within your own mind, this speeds up the learning process in becoming more confident. The secret here is that almost everyone feels like you do. Which means that while you’re busy wondering what other people think of you, they’re busy wondering what you think of them. Work with that. Help other people feel better: approach them, be friendly, ask questions and compliment them. Then not only will they like you, you’ll also be too busy concentrating on them to worry about yourself. If there’s one thing you can do with confidence, it’s being able to transfer it across to ‘nervous’ areas, again I will show you how with hypnosis. What’s the best way to eat an elephant? One bite at a time. The moral here is it’s usually easier to do things in small chunks. So break down a project into smaller goals. Or try a ‘practice run’ and then build up from there. There is an exception to this ‘one bite at a time’ approach. Sometimes, doing the outrageously risky can boost your confidence because it makes everything else seems easy. My friend Barbara decided to do a charity walk up Mount Kilimanjaro. She not only raised over £4000, she also gained enormous confidence in her own ability. Our simple philosophy is about achieving the outcome that you want. The text below are from emails that have been sent to me from ex clients and students that have overcome their past negative problems via a private session or via distant learning home study. I have had their full permission to place these mails on my site. programs my brain is carrying and have started working on their elimination..
Thankyou very much for today, I started off smiling at that teacher!!! A positive outcome for all. I can't stop smiling today. I will continue to use what i have learned. I will have a read at your book over the weekend and let you know how I am next week. Easy way to Boost Confidence with a Private Hypnotherapy Session and overcome anxiety starting today. 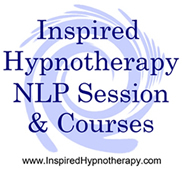 Hypnosis is an ideal way to easily and successfully gain confidence for the rest of your life.